Landsec is the largest commercial property development and investment company in the UK. The company is acting to address its biggest challenges and opportunities by embedding sustainability in everything it does. 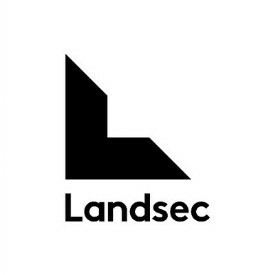 Landsec keeps looking for new ways to make a positive impact – to create great experiences and benefits for others. Lighting has changed a lot since the days of Thomas Edison, and I’m sure he’d be shocked by our reliance on his invention. It brings opportunity, comfort and safety, but it is also costing us the world, quite literally. Typically, lighting accounts for 20% of all power used in commercial and industrial buildings and, with much of this global electricity still derived from fossil fuels, a fair chunk of CO2 emissions as well. But it also costs money, both to run and to maintain, so it’s no surprise that many businesses are investing in LEDs, which offer much longer lifetimes and seriously reduced energy usage when compared with more traditional lighting technologies. Landsec has been investing in LEDs for a number of years and has experienced first-hand the benefits that switching to LED lighting can bring. The most obvious benefit – to a sustainability manager, at least – is reduced energy consumption. Energy usage, and its associated carbon emissions, is the built environment’s number one environmental impact. At Landsec, we have set ambitious, science-based carbon and energy reduction goals, and investing in LED lighting is one of the key vehicles which will get us to a more efficient future. Since 2016, we have invested £2m in LEDs and are saving more than 4 million kWh of electricity every year from the projects implemented. This brings significant financial savings too, and with these savings being passed through to our customers we are making our assets more cost-effective for them to occupy. The projects implemented since 2016 are reducing operational costs by £500,000 per year, demonstrating great value and an effective investment. Increased efficiency not only comes from reduced energy usage, but also from savings in maintenance time. Once installed, LEDs can sustain light output for five, 10, or even 20 years, this means that onsite engineers can spend less time changing bulbs and more time putting their expertise to good use. Not only do LEDs use less energy, lower carbon emissions, reduce operating costs and free up maintenance resource, they’re also a hit with our customers and partners. In back of house areas, LEDs can provide safer working conditions, in car parks they can make guests feel more secure, and in offices they can provide a consistent, appealing aesthetic. In every situation LED lighting can provide additional benefits in how a space feels, looks and operates. We’re not the only ones reaping the benefits from transitioning to LEDs, many businesses around the world are making great progress too. The Climate Group want to speed up this lighting transition and are calling for a LED scale-up. They are campaigning for all public lighting around the world to be LED by 2025 and need businesses like Landsec to help achieve this bold ambition. At Landsec, we believe LED lighting more than warrants the investment we’re making into it, and we’re enjoying the journey to making more of our buildings and environments #lit.